42 The GW Difference Jim Heid Basic training for Tandy 1000/1200 owners, from GW Basic’s commands to converting Model I/III/4 programs. 48 Young Programmer’s Awards 1984-85 The kids are all right, and this year’s batch of winning programs is as impressive as ever. 31 Through the Looking Glass: The Tandy 1200 HD Bardford N Fixon A full-fledged review of Tandy’s bargain-priced PC/XT compatible, along with a sampling of other opinions. Also, a Model 4 loyalist sizes up the 1200. 74 Reasonable Deductions Robert C. Lake, Mary R. Golden, and Samuel L. Lett What every computer owner should know about the new federal income tax laws, including detailed examples of the kinds of deductions you can take. 50 Tandy Rides Again Dave Rowell Considering price, performance, and compatibility, the Tandy 1000 may be the best in the West. Our system review includes a peripherals price list and software lists. 72 Date Lines Edward M. Welch A more convenient way to sort dates with Profile III Plus. 31 DeskMate: Tandy’s Software Starter Package Bradford N. Dixon In this case, you get what you don’t pay for. 62 Current Events Mark D. West A consumer’s guide to surge protectors. 106 Spreadsheet Beat Russ Covey Our new monthly column debuts with a template for analyzing IRA investment funds. 82 Mutual Understanding Hardin Brothers Finding points of agreement among editor/assembler source code files. 36 On the Boards Bradford N. Dixon and Eric Maloney The authors go looking for a few good BBSes. 41 BBS Directory A convenient guide to hundreds of boards from California to the New York island. 56 Duelling Software Bradford N. Dixon and Dave Rowell The authors test their software saavy in a $4,000 spending duel. 90 Dave’s MS-DOS Column Dave Rowell. Special introductory offier: a printer fix, no-frills machine language, and music. 36 You Can Get There from Here Bradford N. Dixon What it takes to transfer files from one computer to another. 40 Hard Decisions Vincent E. Meyer What you should know before you buy a hard disk. 44 Runing Hard Richard McGarvey Why your DOS can make or break your hard disk system. 88 Utilities Included: Comparing Super U and The Norton Utilities Dave Rowell In search of the better MS-DOS disk zapper. 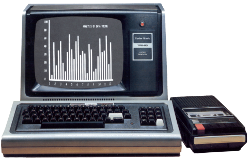 36 Prose and Cons: Advanced Model 4 Word Processing David Dalton A feature-by-feature comparison of eight products. 44 Printer Preservation Vincent E. Meyer Do your own tune-ups and repairs. 38 Born to Run John B. Harrell III An introduction to C, the language that goes everywhere.